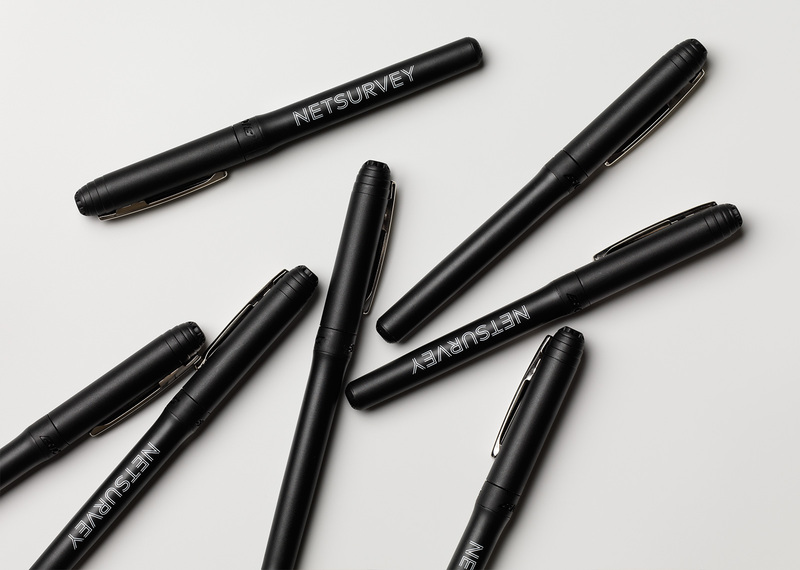 Netsurvey is one of the leading firms in Sweden engaged in employee satisfaction surveying and change management. This was an industry where graphic expressions and communication were very homogenous. We decided to challenge that. 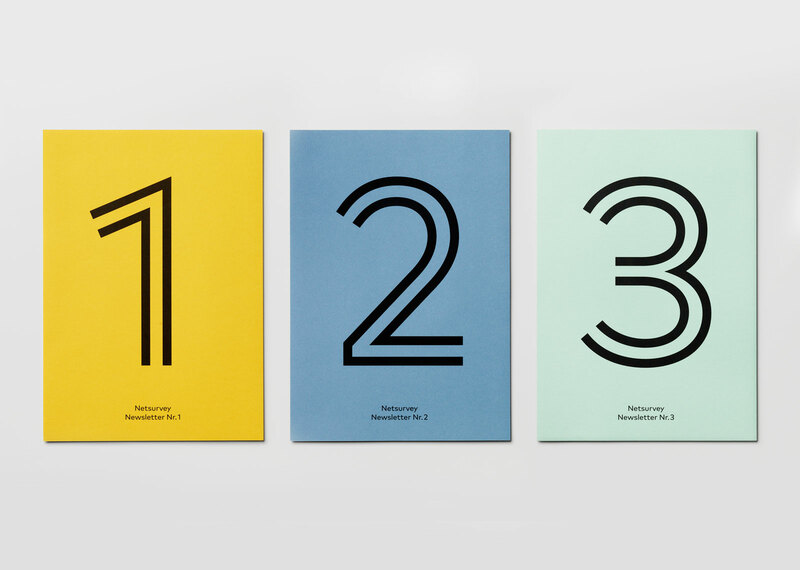 An unorthodox typeface, a broad and vivid colour palette and a pictogram series bordering to the childish made a strong imprint and really helped setting Netsurvey apart. “I’m certain that the new identity has enabled us to strengthen our position as an innovative force in our industry. I am really happy that we are brave enough to set ourselves apart”. Sylwia Lindén, Marketing Director at Netsurvey. 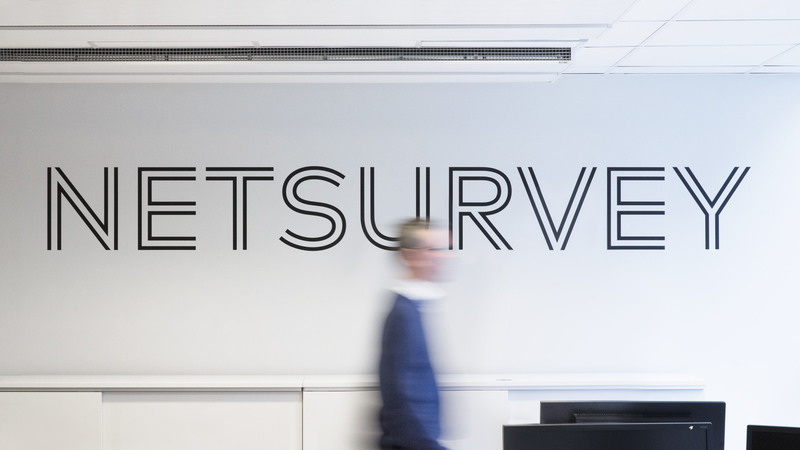 Netsurvey is one of Sweden’s leading consultants within change management. By carefully evaluating companies’ employee and customer relations using customized measurement tools, the company diagnoses the state of organisations, big and small, with high accuracy and precision, and designs and helps implement change programs that enhance employee engagement, strengthen leadership and improve employer branding. 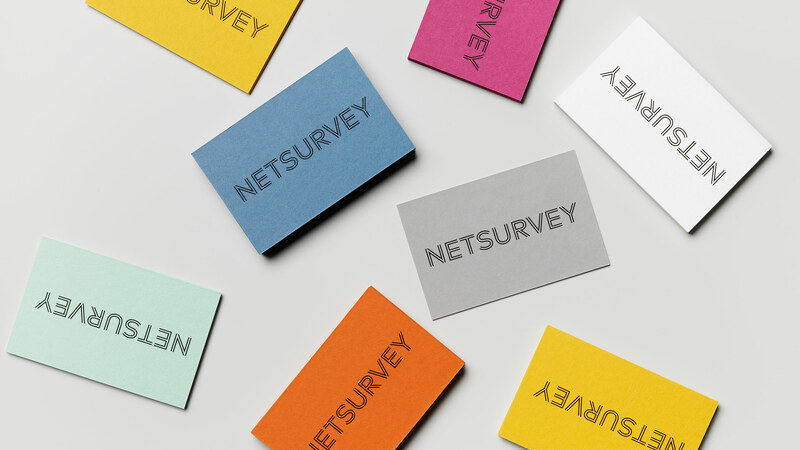 Netsurvey hadn’t changed their graphic identity for a number of years and felt it was not only dated, but also that it didn’t reflect the warmth, engagement and innovative spirit that characterize the company. At Netsurvey they consider themselves thought leaders in the industry, and as such they want to stand apart, be bold and go their own way. 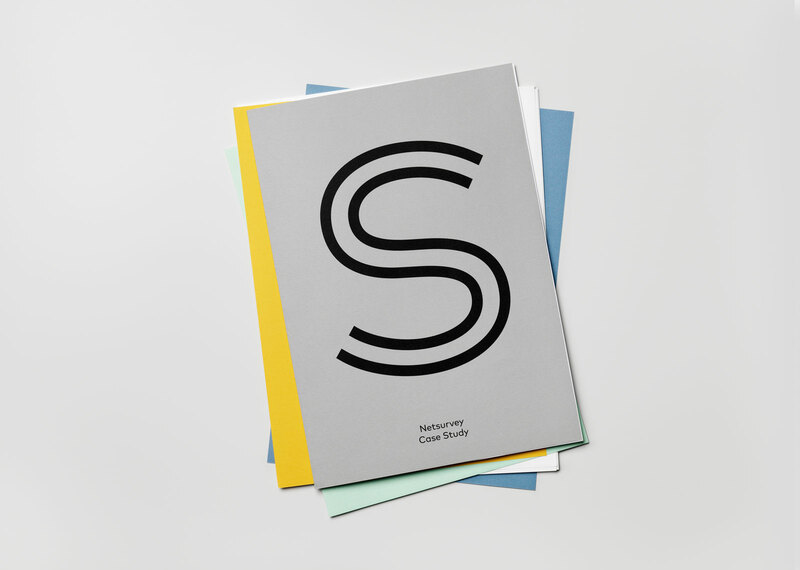 The Studio challenged category communication codes and the prevailing idea that B2B branding must be dry, serious and boring. 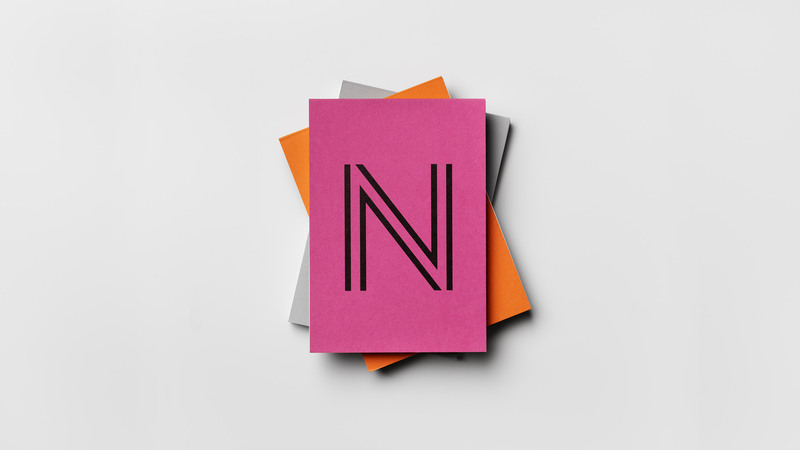 A new identity for Netsurvey was developed that was colourful, expressive, warm and playful. 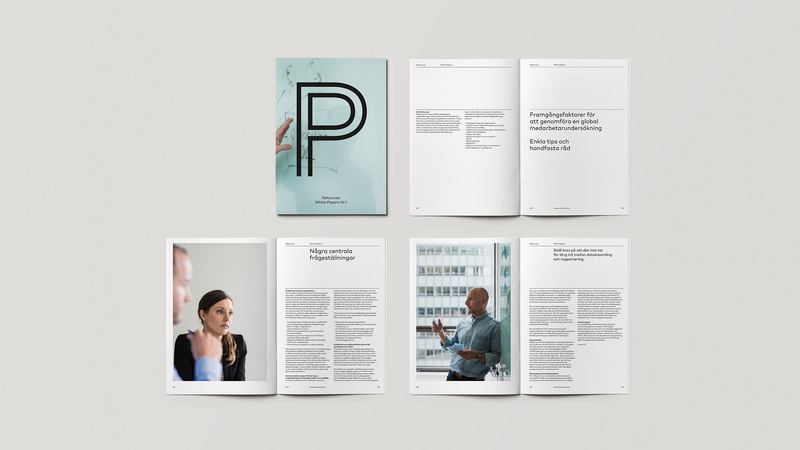 It was applied to a wide range of communication materials that included anything from the website to USB sticks, stationery and collateral material to digital templates and signage. 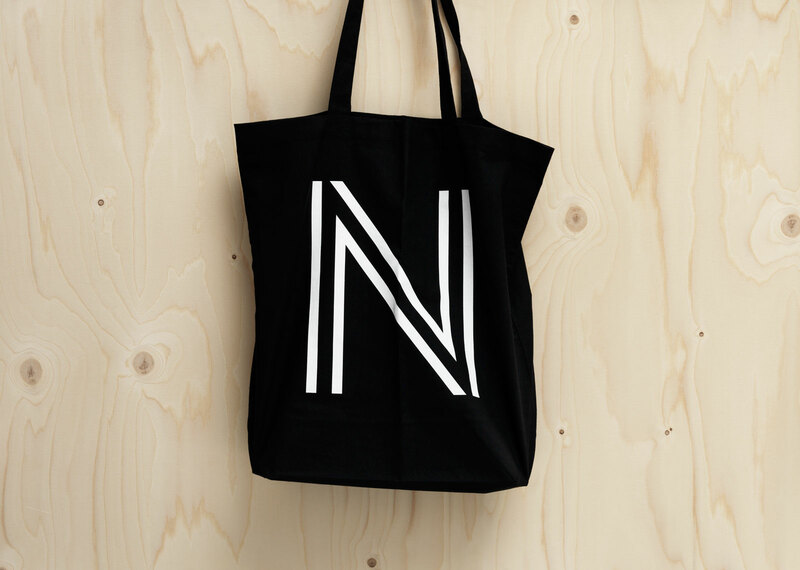 The logotype and display letters, as well as a wide range of icons and symbols, are made up of parallel lines that symbolize the union between Netsurvey and its clients and the mutual relationship they form. 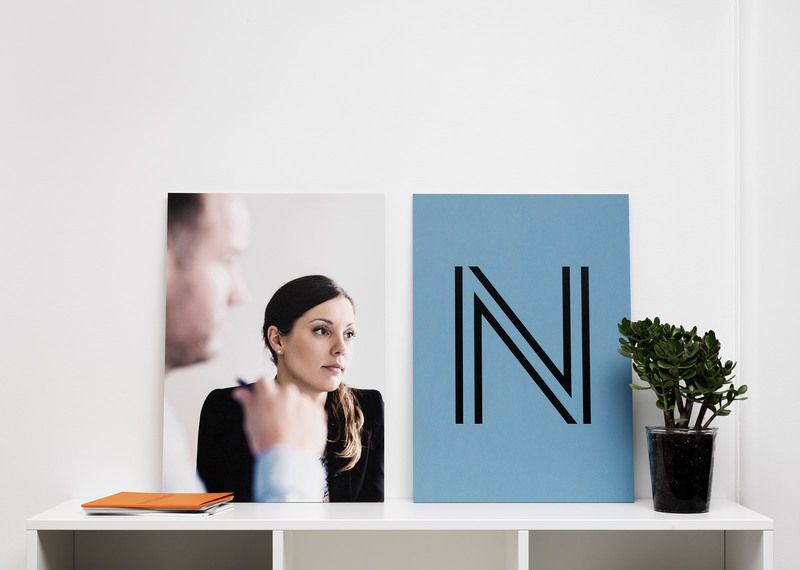 The Studio also developed a photographic manner for Netsurvey that communicates the company’s values in anything from staff portraits to natural work environment images. 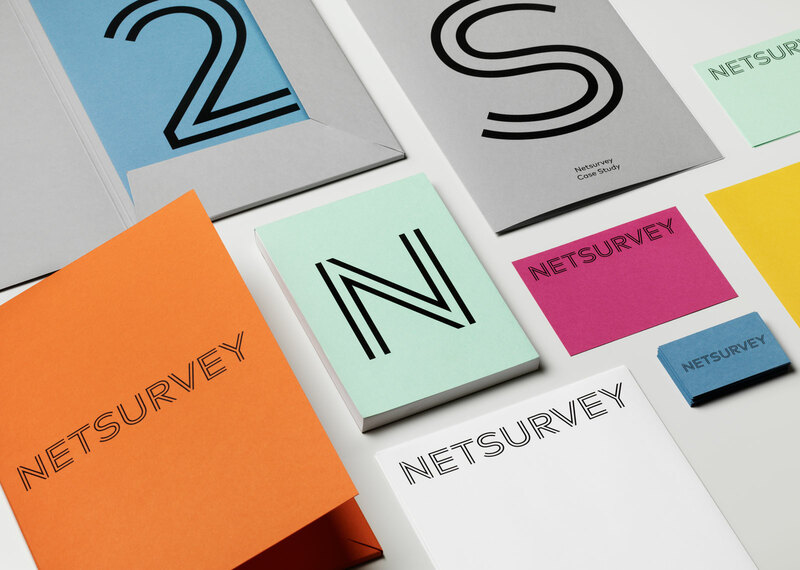 The new identity for Netsurvey constituted a radical change in the company’s visual expression and had a profound impact on internal pride and confidence. “I’m certain that the new identity has enabled us to strengthen our position as an innovative force in our industry. I am really happy that we are brave enough to set ourselves apart”. Sylwia Lindén, Marketing Director at Netsurvey.